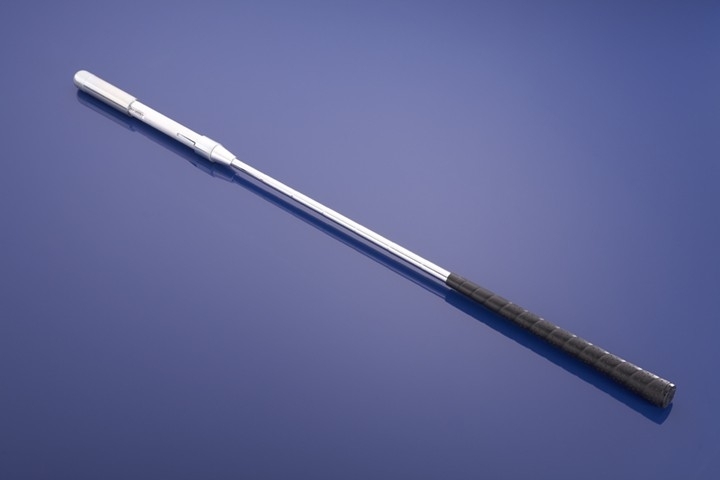 Case in point – while having a Skype consultation with a WAX Nation citizen with whom I’ve become very good friends, we were trying to get to the bottom of what had happened to his swing since we last worked on it years before life and business took him away from golf. His particular issue was a very shut club face at the top and impact, and he confessed that he’d been doing that (setting up with the face square but with a very strong grip). I asked him if he’d had issues with hitting the ball right, which he said he had – my guess, correctly was that he’d begun strengthening his grip to avoid hitting the ball right. Now, however, he was coming over the top and hitting snap-hooks. So we worked on his address (not enough right-spine-tilt), then the pivot. So let me show you how one particular thing in this person’s swing, the very strong grip, caused a chain reaction of other bad things. He had an early turn in the down swing, and this would also be connected to the strong grip – when you have a strong grip, you will tend to “spin out” in the down swing in order to get to the ball before the face snaps shut. This also the genesis, I believe, of the whole “swing left” movement in golf – higher skilled golfers tended to hook the ball rather than slice it. For those swingers, it would make sense to spin on the down swing and swing to the left, in order to avoid hooking the ball, or even to try to create a fade when one’s natural shot shape was a draw. So, I got my friend to fix that grip, and it was so deeply ingrained that it took us repeated tries to make even half-swings where he was square at impact and also neutral at the “9 O’Clock” position (where the sole or top of the face should be vertical and not flipped over shut or pointing earthward). Once we solved that, I watched his down swing and we fixed the early shoulder turn (the “drop” in the “Drop & Pop” part of the down swing), and by the end of the session, he’d hit some nice drives and iron shots that were now going straight, some with a baby draw and also baby fades. So, in an attempt to stop hitting the ball right, due to improper ball position if he was doing everything else correctly, he’d strengthened his grip and then, when the hooking began, he began turn early to avoid the hook, which likely caused the over-the-top move on the transition. The point I’m making is that if you are happy with how you’re swinging and striking the ball and not conforming completely to the MCS model, I’m delighted to have helped you find your groove with some of the material you’ve adapted to your swing. If however you’re struggling, then the answer lies in what you’re not doing – remember, the MCS model setup from the “E = MCS” video forward deals with how to customize your ball position to your particular body make-up. There is no set in stone ball position other than, the Driver ball position is at or slightly past the swing bottom, and the rest of the clubs fall into line from the Driver ball position back towards the center of the stance. 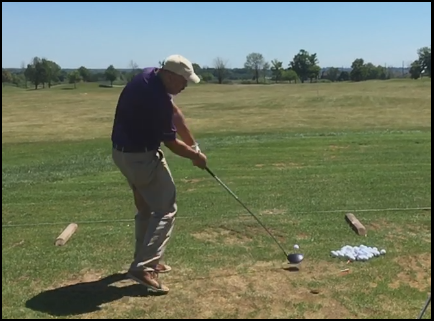 So, you will not have a great deal of success if you decide to improvise and begin adding compensations to your swing based on perceived issues with your ball-striking. 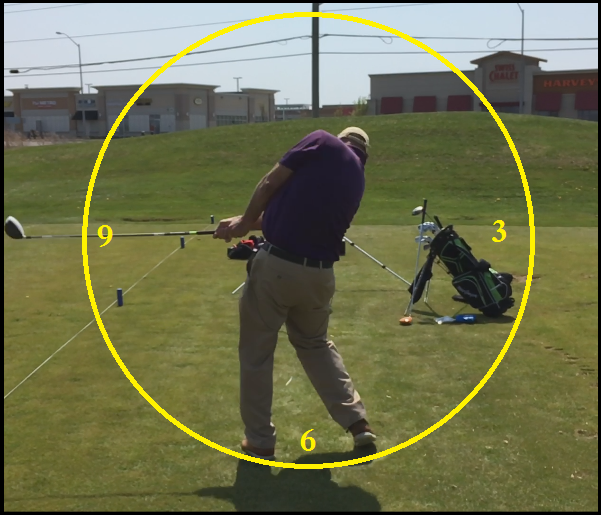 The reason – I’ve spent 13 years studying the swing and swing motion, and I’ve investigated every possible variation one can make in one’s setup and mechanics, and the model which I’ve built, the MCS Golf Swing model, has its own variations built in to ensure everyone who can swing a club can do so to the best of their physical capability. What you would be better served in doing would be to go over your setup and mechanics carefully, to make sure you’re adhering to the model, and I’m confident you’ll find something therein that you can fix or adjust to solve your problem. Hi DJ. I have been reading Bobby Clampet’s book “The Impact Zone” and his strong instruction about striving to hit all shots from driver to wedge with aim focus or low point 4 inches in front of ball with flat left wrist. Your comments? Can’t say I agree with that, RH – if the Driver is bottoming out 4″ in front of the ball, you’re hitting it like a mid-iron. Same with the fairway woods, which are more sweeping impacts with a touch of descending, but 4″ would be quite hard on the wrists and hands… if this book was written in the persimmon era, I would likely agree to some extent, but definitely not now.